For new clients only 10% discount for the first month of care and free in-home assessment and two hours of care plan management. 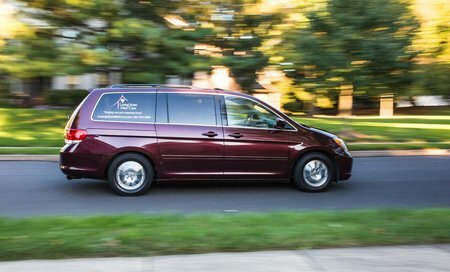 Loving Arms Elder Care is a non-medical home care agency serving seniors in Bucks, Montgomery and Philadelphia Counties. Our caregivers work with seniors in their homes, providing assistance with their personal care, housecleaning, medication reminders, transportation and companionship. 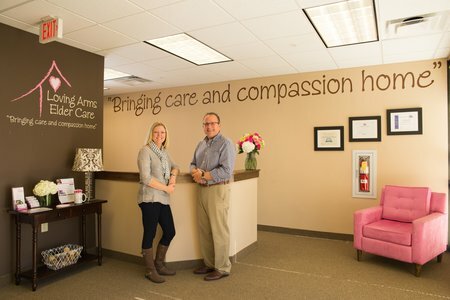 A Loving Arms Caregiver is instrumental in the development and implementation of our client's wellness plans. Awards: 2015 and 2016 Home Care Pulse Best of Home Care Trusted Provider, Provider of Choice and Employer of Choice. Membership: Pennsylvania Homecare Association and Bucks County Long-Term Care Consortium. We are a member of the PA Home Care Association. My Mom began to decline and and it became obvious that she would need care. Loving Arms came to our rescue. Gradually more help was needed and eventually it became a 24/7 care program. The team at Loving Arms were wonderful to my mom and very patient with me as often I was in a state of denial. They guided me through the tough times and held my hand through it all. All those who cared for my mom were there for her funeral and that says a lot about the care they offer. I can't say enough about those who cared for my mom. Thank you. Kudos to Loving Arms for rescuing me at what was one of the darkest periods in my life. My father was the primary caregiver for the mother, both residents at Ann's Choice in a regular apartment. He died suddenly in August of 2011 but had expressed during his lifetime that if anything ever happened to my mom she was to stay in their beautiful apartment with full time help. That being said- nothing was arranged prior to his passing. We contacted Loving Arms on a Saturday, two days after his death, based on a reliable recommendation. By Tuesday, Aimee moved in with my mom to learn her routine and medical needs and by Thursday the team of caregivers was put in place. My mom's team became her children, grandchildren, friends, companions, therapists (from massage to counselors)manicurists, and waitresses and chefs. Her apartment was always kept impeccably clean. The level of care they provided for her over the 100 hours they were there was unsurmountable. I developed wonderful relationships with Aimee and all of the caregivers -all easy to deal with. 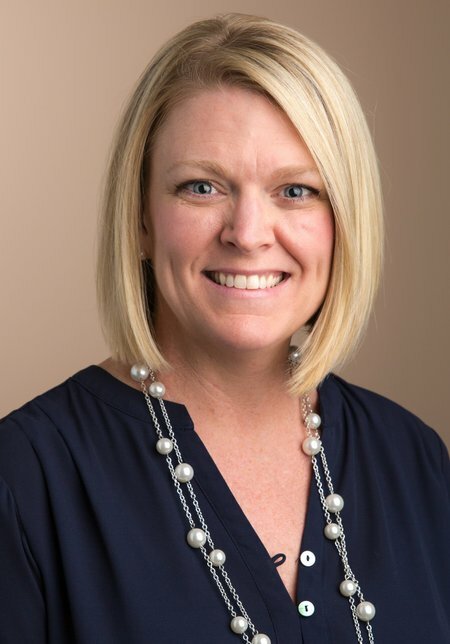 Stacy, the operations manager was a lifesaver to me. Her compassion and professionalism made my new job-managing my mother's world-a million times easier. Sadly, to our dismay my mother passed away pretty this past March. Needless to say Loving Arms was represented by many at her funeral -seated right behind us-as if they had lost a mother, grandmother, or close friend. They changed my life during the 18 months that they served us. Would i recommend them? Without a doubt! 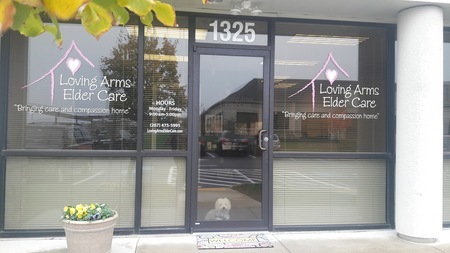 The team at Loving Arms Elder Care provided excellent support and home care for my then 89-year-old father following the unexpected death of my mother at 81 who had been his primary caregiver. Dad was in frail health with mobility issues and congestive heart failure and needed assistance with personal dressing, meal preparation, medications and general household and shopping needs. My siblings and I stayed overnight every night, provided dinner, and handled as much as we could but Dad was alone all day and needed additional support. He did not want to leave his home and did not want 'strangers in the house'. He was very resistant to the idea of a homecare aide until Aimee Reed came to the house and spent an afternoon talking to him. We started the following week with 1 caregiver 2 days to help him in the morning through lunch. Over time we gradually increased to 3 caregivers who came every morning and eventually covered 4-5 nights a week including most weekends. The caregivers were all wonderful with Dad, providing him with excellent care and gentle companionship. As needed, they drove him to appointments for blood work or to the barbershop and also did food shopping. They helped him get accustomed and comfortable with others outside his own children caring for him. I am very grateful to the guidance of Aimee and Matt Reed as well as the Operations Manager Stacy Hicks who managed the weekly schedules with courtesy and professionalism. As for Barb, Donna, and Brianna, they were all wonderful and very caring to Mr. Mac.